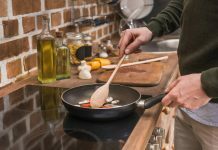 Right now, you might think that you are totally safe from being homeless since you are always protected by walls at home and in other places you go to. However, anything can happen whether you like it or not. 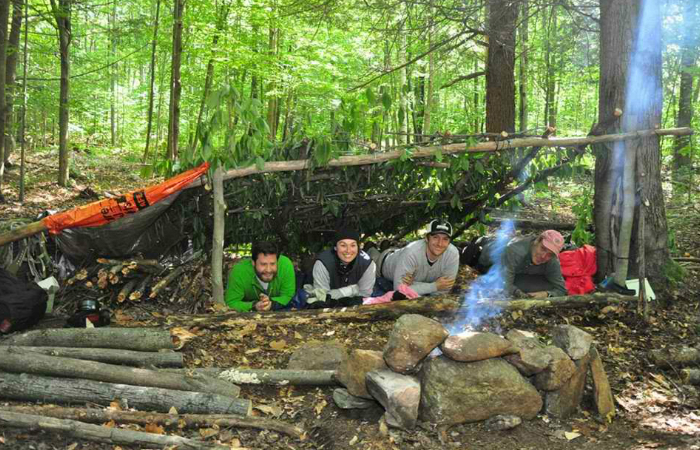 Either for the sake of fun or seriousness, let’s learn how to build a shelter in case we get lost in the wilderness. There are different types of survival shelters. That’s why we cannot pick just one kind of shelter to focus on. We chose the most common ones for more options to follow – just in case. This type of shelter is one of the easiest to assemble. 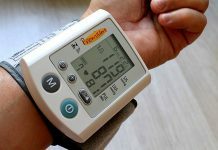 It is used ever since by our ancestors. It is so easy to build that it will not take more than an hour, as long as there are a lot of potential materials surrounding the area. The lean-to shelter’s roof only comprises one side. But, it is enough to protect you from rain and the wind. Find two trees to support the long pole. The pole must be very thick. One side must be covered with branches or smaller poles. Put more cover on the roof by putting a lot of grasses and leaves on it. Lean-to shelters cannot keep you warm in the cold. You need other means to cover yourself from the unbearable temperature. Also, because of its one-sided feature, lean-to shelters will not be able to protect you when the wind shifts direction during rain. Because this shelter is covered with leaves, you may find it hard to spot it again after going somewhere. A way to solve this is by hanging a bright object like a flag on its roof. 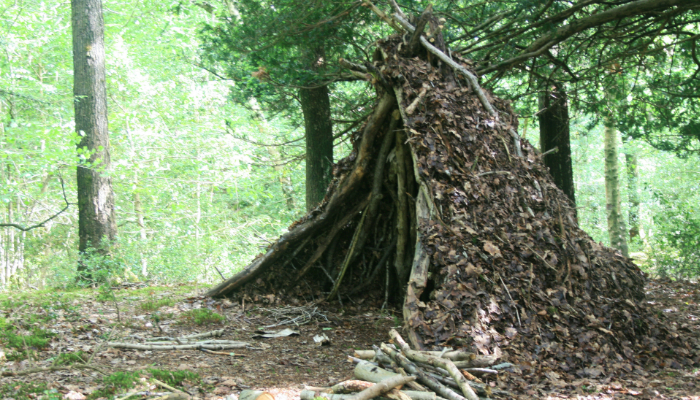 Compared to the lean-to shelter, a leaf hut has two roofs. It is better when it comes to protection and maintaining heat inside. Find a long, thick pole to start the process. It must be at least nine feet long. You can use either a tree fork, a couple of forked sticks, a stump or a rock to prop the pole up. Next, use a lot of tree branches to cover the pole’s sides. Follow the right angle to make everything stand just by using the pole. 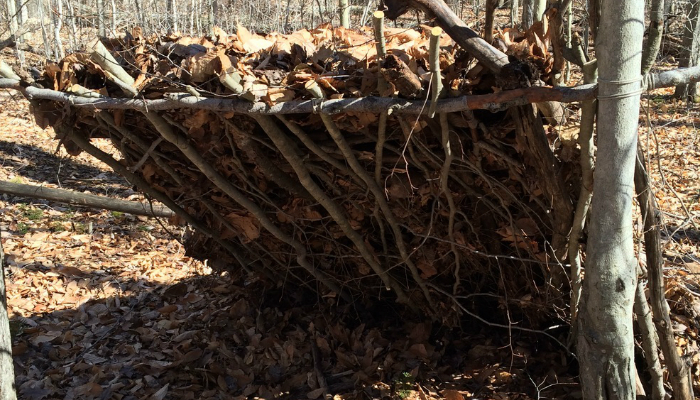 The branches must be extremely close together to avoid falling materials used as cover. Regarding the roof cover, you can use pine boughs, pine needles, moss, ferns, and grass. For the hut’s interior, fill it with lots of leaves to serve as your bed. Since the roof cover is made of such fragile materials, strong winds can completely remove them from the hut. Leaf huts are best during cold nights and moderate rain. To minimize flying roof covers, you may add an extra layer of the leaves using branches, twigs or sticks. The roof will have less cover but at least, you still have shelter. 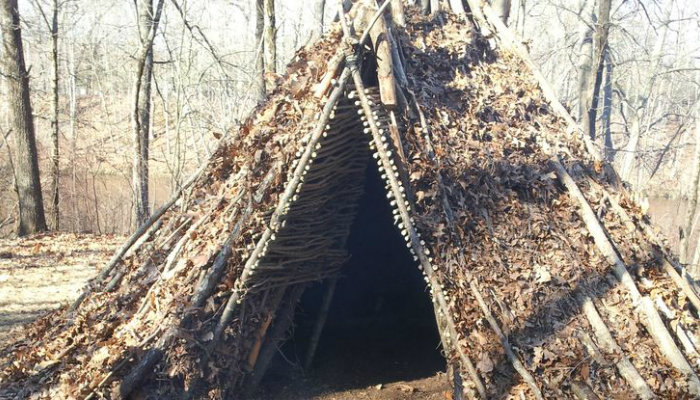 The form of the wickiup is similar to a tipi. However, it is much smaller. It is composed of leaves and poles. This type of shelter is actually popular in remote areas all over the world, especially in the Southwestern United States. It can be improved for all climates by making the roof have a higher angle with more leaves and grass on it. Gather a lot of poles, preferably at least 35 pieces with forks. The forks support the poles to stand without extra materials. Lay other poles by following the angle of the first ones. After everything is set, put a lot of leaves to serve as the roof cover. During cold times in the wilderness, you instinctively want to make fire. Sadly, a normal wickiup is very susceptible to burning. To improve it as a safer haven when you make fire, make the wickiup even larger by picking longer poles. Instead of leaves, use moss as the cover for the roof. If not moss, use fresher leaves and sprinkle enough water all over them to stay damp. Lastly, only make a small fire for less risk. 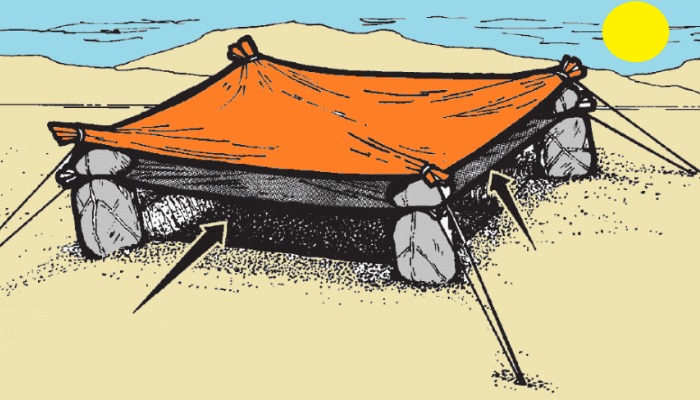 The technique for the double-roofed tarp shelter goes far back in history, especially in desert civilizations found in the Middle East and the northern part of Africa. To make things even more interesting, the method is still being used by soldiers during their survival training. First, prepare a rope with a length more than 35 feet, as well as two tarps and four long sticks. Dig a rectangle-shaped hole in the ground to add more space between you and the roof. At each corner of the hole, deeply bury a stick. Divide the rope into eight parts. Use the ropes to tie the tarps into the sticks. This is obviously not applicable if you do not have tarps and ropes. Double-roofed shelters are for people who are ready to have a journey in the middle of nowhere. Instead of two tarps, you can use one big tarp that you can fold or cut into two. Regarding the poles, secure them by using improvised anchors such as rocks. If the tarp has no holes, pierce one in each corner. Make sure that the hole will not be placed right at the edge to avoid rips when there is the wind. This is a better alternative for the double-roofed tarp shelter, but it is only applicable when you have two thick poles. It is amazing how easy it is to completely set up this decent survival shelter. Tie a long rope between two poles. Trees are the best poles for this shelter. Lay the tarp over the rope. Make sure that the rope stays along the middle of the tarp. Then, form an “A” by pulling down the tarp’s corners. Tie the corners to smaller poles or big, heavy rocks. The A-frame tarp shelter is perfect if you want a bigger roof from the wind and rain – as long as it is near the ground. If it is too far from the ground, the wind can easily destroy it. The best part about the A-frame tarp shelter is how wide it is to keep you comfortable even if you are lying on a hammock or a thick bed of leaves. 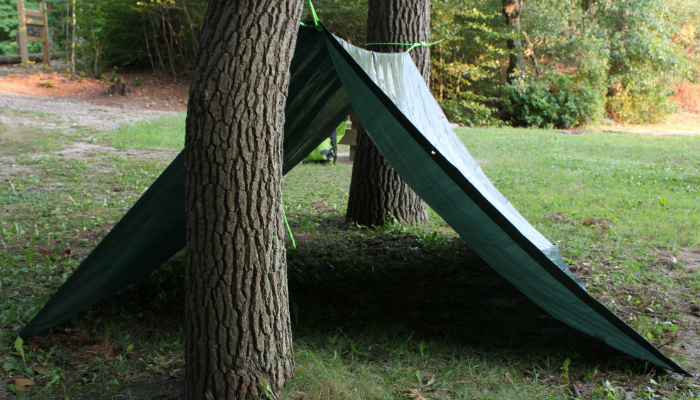 Hammocks are good if the ground is naturally wet, most likely due to moss or mud. The tarp can also be replaced by a poncho if you do not have one. Stored knowledge is helpful for unexpected circumstances. It is okay to be amused with these interesting survival shelters. However, you can also remember all of these ideas on how to build a shelter for future use. Of course, let’s still be extra careful to avoid the need to actually build one in our lifetime. If you prefer a more realistic and practical shelter in the wild, take a look at the best backpacking tents in today’s market. For extra comfort outdoors, here are the best backpacking pillows and sleeping pads or bags.